Sunwing has started to discount their 'end of season' all inclusive packages for late April and May travel. The most interesting price drop from Edmonton might be this 1 week all inclusive package from Edmonton to the Sanctuary at Grand Memories in Varadero, Cuba for $1045 CAD (per person) including taxes. The Sanctuary at Grand Memories Varadero has 4.5 circles on TripAdvisor with 66% of reviews rating it as Excellent. 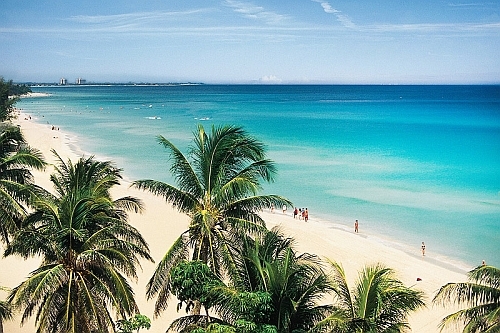 On Tripadvisor, It is currently ranked #1 out of 64 hotels in Varadero. Most websites list it as a 4.5* resort. The Sanctuary is an adults only resort. The Sunwing flights from Edmonton to Varadero, Cuba have 1 stop in Calgary each way. 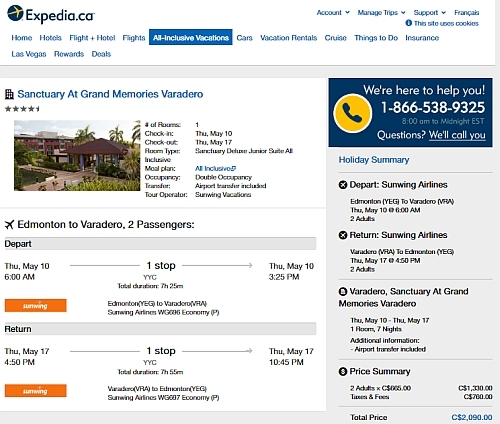 NOTE: After your Expedia search completes, use the 'Search by Hotel Name' drop down menu near the top left to find the Sanctuary at Grand Memories Varadero. edmonton, yeg, caribbean, varadero, cuba, western caribbean, all inclusive deals, vra, greater antilles and sanctuary at grand memories varadero.